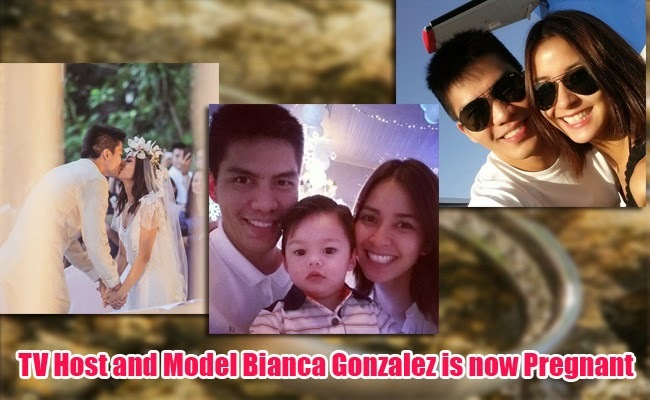 It is confirmed in a gossip blog website that TV host and model Bianca Gonzalez is pregnant with her first baby with her husband JC Intal, Forward Barako Bull Energy player. The Kapamilya host and PBA player are still yet to make their official announcement but friends and fans are already excited to give their congratulatory messages to the couple. It was on April 25, 2015 when the news started circulating online. FashionPulis (FP) shared that its sources had confirmed the pregnancy of Bianca Gonzales-Intal. The post was followed by netizens and supporters’ messages to the couple’s social media. Many are brave enough to ask the couple if the good news is true. Some netizens admitted that they already had a hunch about the news as the veteran showbiz news host Boy Abunda and Talk show host Kris Aquino revealed that they have a close friend who is currently pregnant. The couple is expected to formally announce their confirmation. They got married in December 2014 in a private wedding in El Nido, Palawan. It was after ten days of their marriage when the couple were interviewed in Kapamilya’s The Buzz saying that they were excited to have children. Intal said that he is excited to have a family and know how to take care of their children. There were together in a relationship for three years before getting married. Intal’s marriage proposal in Ninoy Aquino International Airport also went viral after its video got uploaded on YouTube.